I made this recipe from How Sweet Eats and it is Ah-Maz-Ing! I doubled the recipe and substituted 8 drops of lemon oil for the zest. So easy and so delish. A great taste of sunshine for dinner! INSTRUCTIONS: Cook the angel hair (or pasta of your choice!) according to the directions. I like to use Barilla Protein Plus pasta. It is made with a blend of Legume flour to add some extra protein to you meal. Make sure to boil it in salted water! You want to reserve about 1 ½ cups of the starchy pasta water once it’s finished cooking. Zest the lemon rind and juice the lemon into a bowl. Place the lemon zest and heavy cream in a skillet or pot and heat over medium heat. Whisk the mixture often and bring it to a simmer – this will only take 1 or 2 minutes. Turn the heat down to low and whisk in the butter 1 tablespoon at a time. You want the sauce to be creamy and slightly thickened. 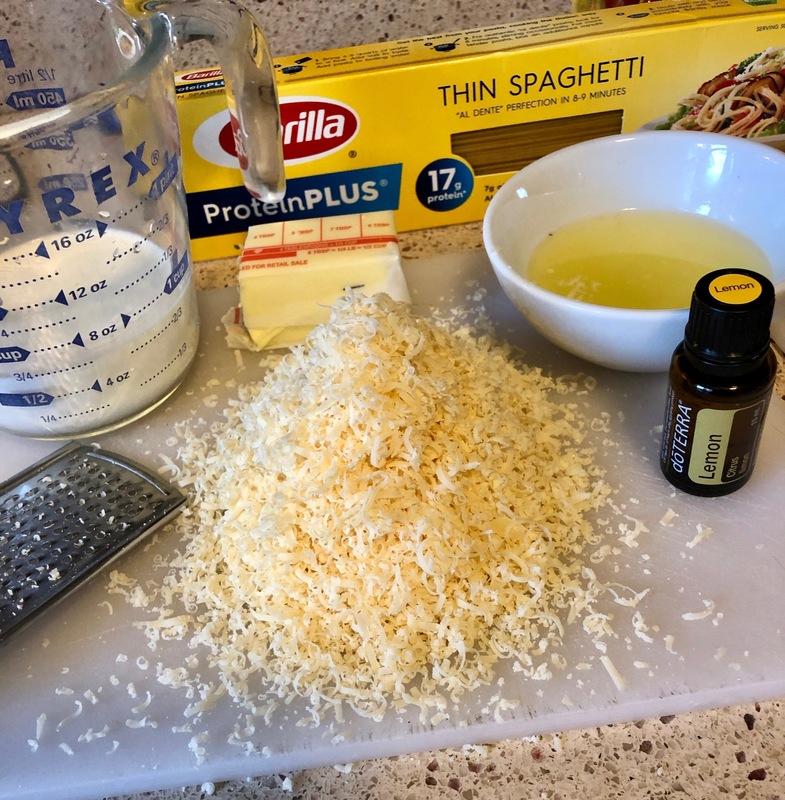 Then add the cream sauce to the cooked pasta, add your grated cheese and the pasta water to get the consistency you desire. For serving I love to add a little bunch of micro-greens to the top. The bitterness of the greens is a perfect compliment to the richness of the pasta!